The JOY of Trail Running! Runners at the XTERRA Trail Race (MA #1) at Wallum Lake in Douglas, MA. Some road races feel like serious business. You see runners wearing masks of grim determination. But not a trail race! There's nothing grim about a rail race. 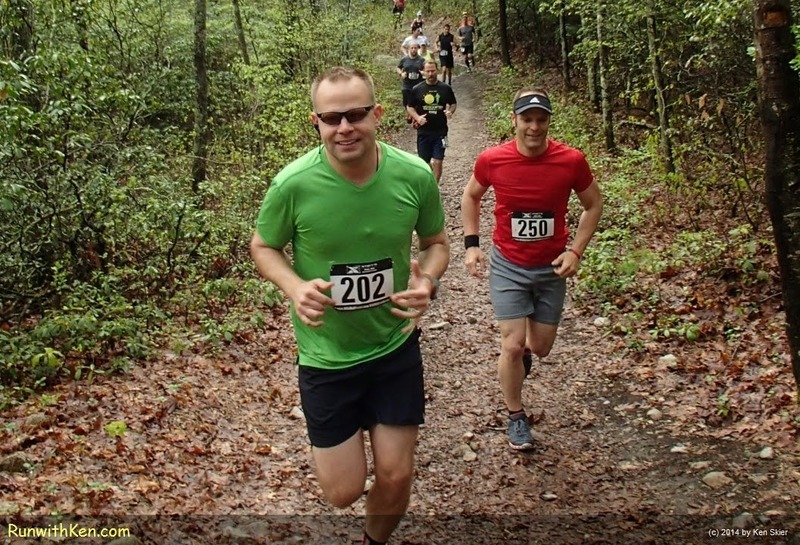 these runners radiate the Joy of Trail Running! running just ahead of them on the trail.